Today we’ve got a real treat for you. While this column often has us playing catch up on classic films, we really enjoy when we can shine a spotlight on smaller movies that not everyone has seen. This week, we’ve got a real gem. Last week Michael chose Thank You for Smoking. 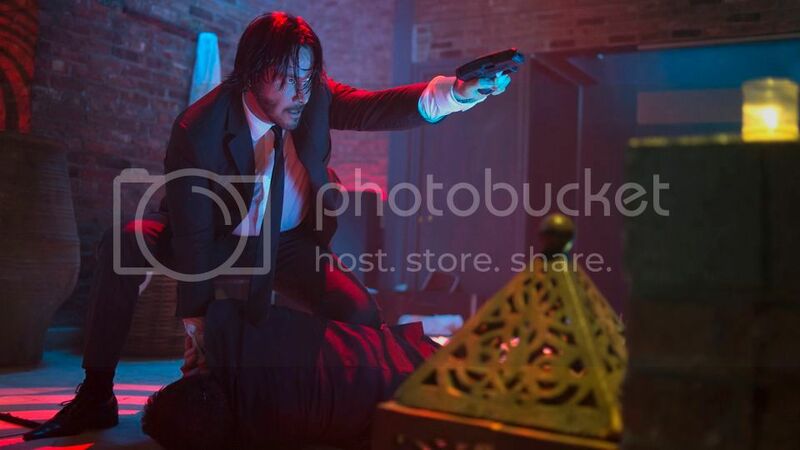 This week Aaron takes Michael out from under the proverbial rock to show him John Wick. Aaron Hubbard: I picked this film because we are a week away from the release of John Wick: Chapter Two, one of my most anticipated films of the year. Why? Because this movie is awesome — a lean, no-BS action thriller that’s about as perfect as this type of B movie gets in the modern era. Michael Ornelas: Uhhh….yeah. Pretty much. This movie was a blast, non-stop. And it’s actually very good filmmaking. On the surface, it’s a big dumb action movie. But it’s a big dumb action movie that knows exactly what it’s doing and that makes it anything but dumb. Aaron: There’s really nothing like a good barebones action movie, but those are surprisingly hard to come by. Action needs to be shot in a way that’s coherent and exciting, there needs to be a solid story and character that I can invest in, and the actors need to be willing and able to do most of their own stunts. John Wick ticks all of those boxes, and it shouldn’t be surprising when the film was directed by stuntmen who have spent their lives making action movies look good. Keanu Reeves isn’t exactly the best when it comes to reading a line, but he’s good here and he really is a great physical actor. He can keep doing stuff like this as long as he wants, and I’ll be interested. Michael: The key word in what you just said is “coherent.” To the detriment of the genre (in my personal opinion), the Bourne movie franchise popularized fast cuts and “assumed” action, where we can kind of tell what’s going on, but it’s not clear in the frame. The camera moves around a lot, and it disorients the viewers to the scene. John Wick takes us back to the glory days of making the frame itself interesting and dynamic, and full of movement…and the camera just follows the action. It’s brilliant, it’s brutal, and it made Reeves look like an absolute star. Beyond camera and the cutting, this movie also made brilliant use of its sound design. If you were to close your eyes during one of the fight scenes and just listen to the foley artists’ work, you would realize that this must have been an absolute blast to be a part of. The sound is so rich, so crisp, and it struck me as a major strength while watching. Aaron: All the technical stuff is excellent, which makes it a much more enjoyable experience as a viewer. I also can’t stress enough how much I appreciate the stunt work in her. I really appreciated how they mixed gunplay and punching with jiu-jitsu and other martial arts to make a dynamic fighting style. 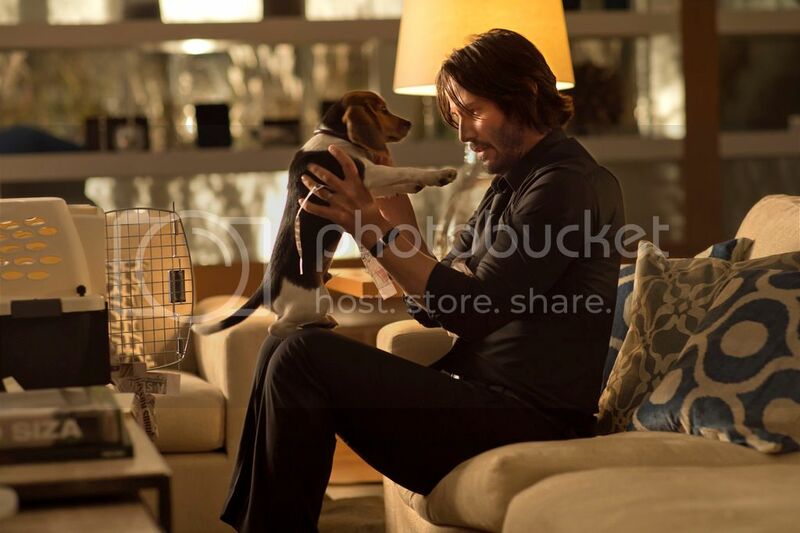 And with Reeves being able to do virtually everything himself, we get to see him act and it’s much easier to connect with John’s character. Michael: This movie was intense. Within the first 15-20 minutes, our hero loses his wife and the dog that was supposed to help him deal with the grief of losing his wife. And a pretty sweet car. But mostly those other two things. My point is: that’s a lot for a viewer to take. I personally get devastated when an innocent puppy dies, even in a fiction medium, so that got me even more on John’s side. I hated the villains as a result, and my anger levels were very high. That’s why this film needed moments like Jimmy, the neighborhood cop played by Thomas Sadoski, coming to check on John for a “noise complaint” (as though this is a regular occurrence), seeing the body of a freshly killed Russian on the ground, and leaving John to handle his business. We slowly learn that people know John and know who he is. He has a reputation, and instead of spelling it out for us, we are just treated to reactions of people hearing his name and what it means to them. Aaron: This film is very effective at setting the stage for us and getting us excited to see John Wick in action. One of the bits that always sticks with me is when Viggo Tarasov calls John Leguizamo’s character to find out why he hit his son. His “Oh.” It’s great, and tells us everything we need to know before he goes into more detail. That one syllable (and Jimmy the cop) stick with me more than the story about him using the pencil. It’s also interesting to see the villains so terrified of the hero. It almost feels like A Nightmare on Elm Street or Halloween in reverse; they set up the killer and his back story, but the killer is our protagonist. Michael: He wasn’t alone though, and the supporting players in Wick’s endeavors were great in their own regard. Willem DeFoe was almost a guardian angel until his death, saving John from a distance using his sniper rifle on several occasions. Charon, the receptionist at the hotel played by Lance Reddick was a lot of fun as well, with the cherry on top being his denial of Wick’s shirt being salvageable from the bloodstains. The point I’m essentially driving at is that this film needed fun to balance out its intensity, and it more than delivered in that regard. Aaron: If I may go on a small tangent; one of the worst things about Marvel Studios’ success is that everyone and their mother is trying to build an interconnected universe to set up sequels. It is rarely done well. The Amazing Spider-Man films collapse within themselves by tying every character to Oscorp, making the world feel smaller and contrived. DC’s films have made half-hearted and sloppy tie-ins that are more distracting than anything. And yet, here’s John Wick, which effortlessly establishes history and creates this ridiculously cool “hotel for assassins” idea. All of these killers feel like they have a history and lives beyond what we see in the movie, and I want to know more about this place. This movie doesn’t feel like it was setting up for a sequel, as it tells a complete story, but the sequel still feels earned. More movies could learn from John Wick. Michael: That’s something I actually didn’t think about, but totally agree. They give us scraps of information that are just enough to be intrigued while never leaving anything out that’s vital to progressing this story. That’s genius. The hotel itself has enough intrigue for a sequel about it. A prequel would also be welcomed. There’s so much content that can be mined from this movie’s offerings and I would welcome more and more of them until they’ve exhausted their options. I’m really excited for the sequel now, as a potentially huge action franchise may hinge on it. Aaron: I can certainly hope. I have no idea where they are planning to take this sequel, and have been avoiding any spoilers. It would be nice for more action films like this. Michael: I had a lot of fun with this one (puppy murder aside). It’s expertly-crafted, well-choreographed, and a hell of a badass time. The scene in the nightclub in which John is just dispatching henchmen left and right was one of the most poignant, brutal action scenes I’ve ever seen, and in a way defines the entire movie’s presentation. This genre is hard to rate because do the best of them stack up with the all-time great films like The Godfather? I don’t know, but it still impressed me. Aaron: This movie gets thrown on my TV pretty frequently. 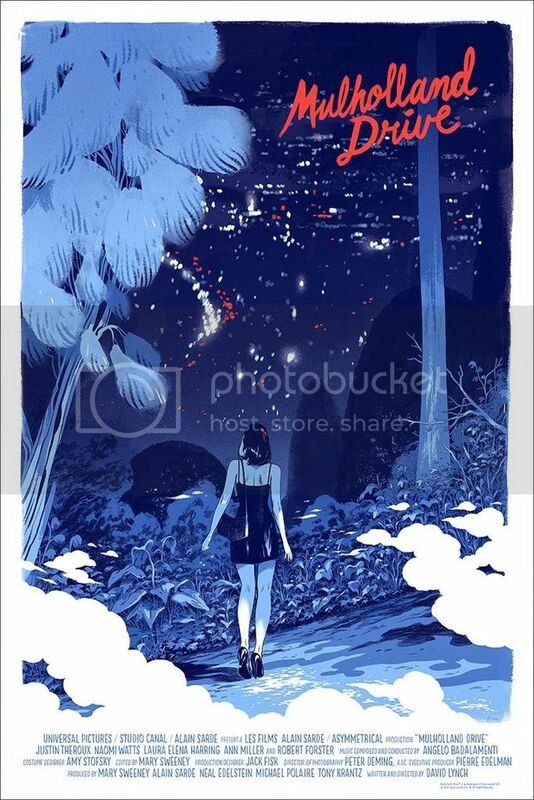 I really like this one, and think it’s about as good as these movies get. It uses everything at its disposal and makes the most of of it. I really have grown to love it over those multiple viewings. It’s exciting, it’s funny, and it packs a pretty brutal emotional punch. Michael: It’s been awhile I think since we agreed on a movie’s rating. This was a good one to rally behind though. Aaron: Indeed. Damn good movie. What are your favorite action movies from this decade? Michael: I started last year off with a little project in which I intended to watch the full filmography of a different director each quarter. That lasted all of one quarter before life got busy, but that means I did manage to watch one director’s full body of work, and I chose David Lynch. So next week, we’ll be watching what most consider to be his definitive work. Aaron: I’m pretty stoked for this based on reputation. I’ve watched Eraserhead and The Elephant Man, and some of Twin Peaks, but this is what I’m most excited to see. Michael: It’s so unique. I’m psyched to rewatch it since I’ve only seen it the one time. What’s your take on the “Lynchian” style of storytelling? Like Keanu Reeves in action movies? Check out Taken For Granted as I look at The Matrix. Next week, I’ll be looking at 1989’s Batman as the Caped Crusader hits theaters again in The LEGO Batman Movie. 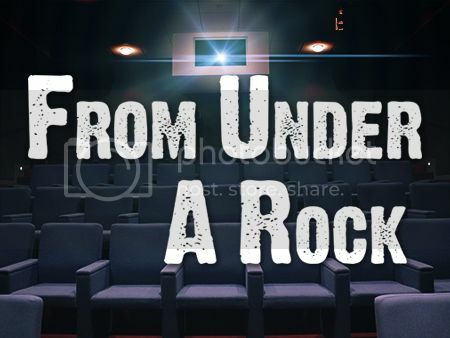 Check me out here to see my star ratings for over 700 films. Recent reviews include Beverly Hills Cop, Babe, and Before Sunset. If you haven't seen John Wick, you should remedy that. Keanu Reeves is as good as he's ever been, the action and practical stunt work is great, and the story is conducive to a great revenge thriller. It's one of the sleeper hits of the last few years, so don't miss it.